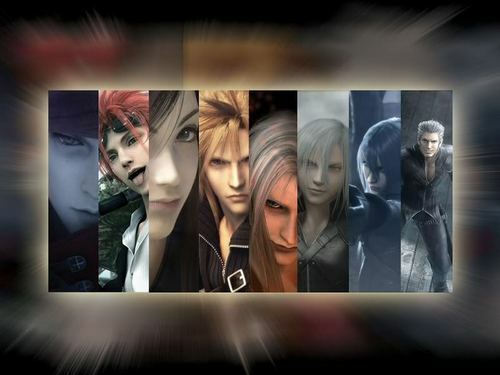 FINAL कल्पना 7 ADVENT CHILDREN. . HD Wallpaper and background images in the Final कल्पना VII club tagged: final fantasy vii advent children cloud strife. This Final कल्पना VII wallpaper might contain रंगीन काँच and सना हुआ ग्लास विंडो.